From The Perfect Bridal Company, Jessie is a glamorous, t-bar sandal with peep toe and, taking it's inspiration from the Art Deco period, is adorned with a sparkling beaded trim to the heel. Pure vintage elegance! Made from luxurious materials, including a leather lining, additional underfoot padding and, with the security of a buckle fastening strap, your extreme comfort throughout the day is ensured. Perfect Bridal shoes are as beautiful on the inside as they are on the outside! 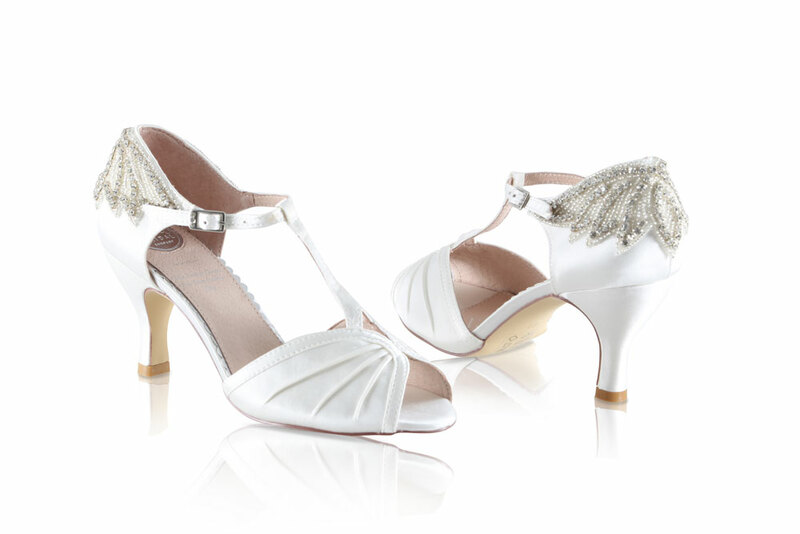 Click the button below to add the Perfect Bridal Shoes Jessie Ivory T Bar Wedding Shoes to your wish list.